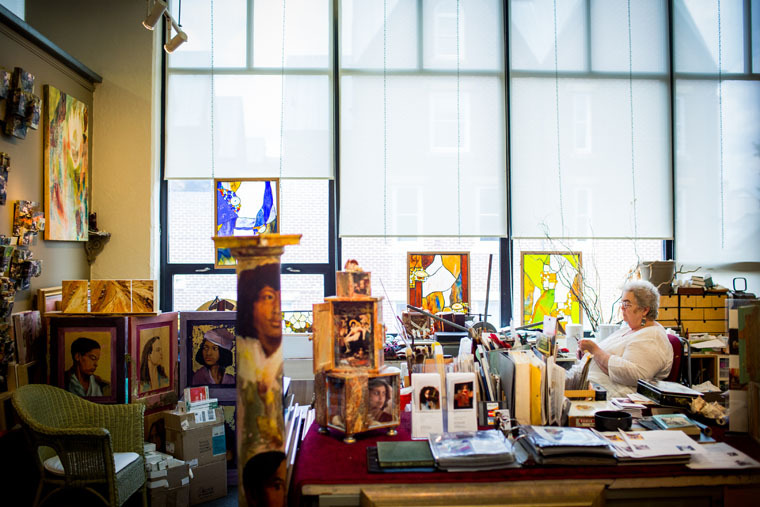 Founded in 1974 in an old munitions plant, the Torpedo Factory Art Center is home to the nation’s largest collection of working-artists’ open studios under one roof. An Alexandria landmark for more than 40 years, it’s the highlight of the Potomac Riverfront, attracting approximately 500,000 visitors annually. Find artwork in a wide variety of media–including painting, ceramics, photography, jewelry, stained glass, fiber, printmaking, and sculpture–in 82 artists’ studios. Observe the creative process and ask questions. Purchase original work for your own collection. Don’t forget to tag @torpedofactory and #artsALX in your photos. Also, follow the Torpedo Factory on Facebook, Twitter, Instagram, and Pinterest. The City of Alexandria manages the Torpedo Factory Art Center as part of the Office of the Arts’ family of programs and facilities. Follow them on Instagram and Twitter. The Office of the Arts is a division of the Department of Recreation, Parks, and Cultural Activities. Cafe by Bread & Water Co.